Martinelli Luce founded by the designer Elio Martinelli, is a globally-active company whose consolidated identity is set apart by a design style that springs from nature and the purity of geometric forms, a strong vocation for technological innovation, and a talent for responding to the demands of a myriad of different markets. Martinelli Luce is a brand that sets the sector bar with its aesthetic language.The lamps and lighting fixtures created by Martinelli Luce, among which the iconic lamp Pipistrello, designed by Gae Aulenti in 1965, retain essential lines, expressions of the best in Sixtie’ and Seventie’ Italian design and are today showpieces in the world’s foremost design museums. A penchant for research and a will to pursue an entrepreneurial philosophy inspired by aesthetic rigor have made Martinelli Luce a leader in the Home sector. 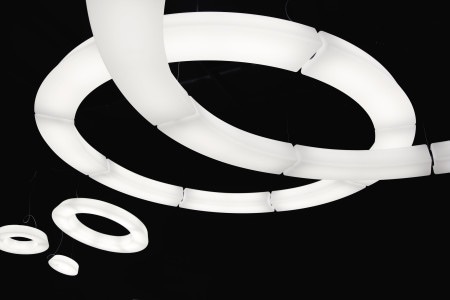 In recent years, the contract division has enjoyed rapid and extensive growth, thanks to development of light sources incorporating technology for optimizing energy saving and for illuminating large surfaces and spaces: hotels, museums, offices, shopping malls, shops and larger stores, and cinemas. Currently, Martinelli Luce is distributed throughout the world, in Europe, Russia, Far and Middle East and Australia. Founded in Pesaro in 1961 by the brothers Valter and Elvino Scavolini, in a few years the firm was transformed from a small crafts workshop manufacturing kitchens into one of the most important Italian industrial companies, conquering and maintaining a position of leadership in Italy since 1984. In 2012, Scavolini introduced their bathroom line along with a line of Living room solutions, offering clients a complete look for the home. 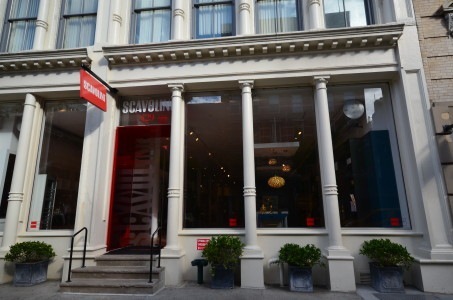 Scavolini has proven Italian excellence, with over 1300 showrooms worldwide, landing their first flagship showroom in the heart of NYC. 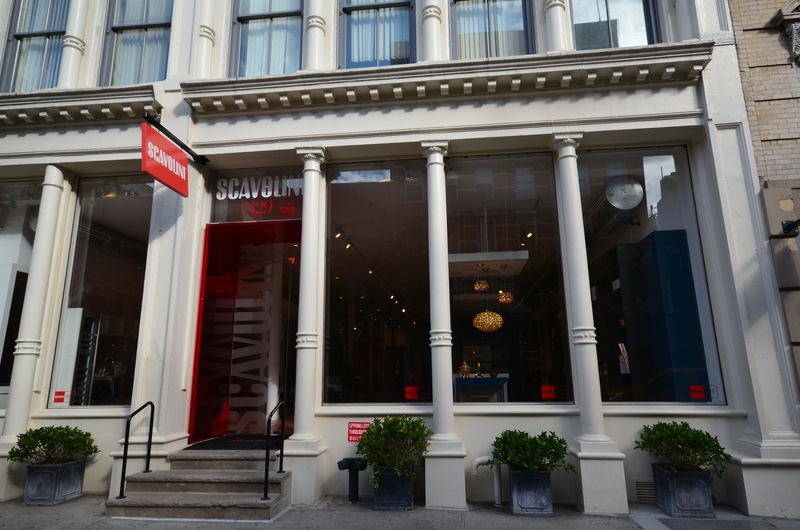 Scavolini Soho Gallery boasts 10,000 SF of kitchen, bathroom and furniture displays ranging in a variety of styles and materials. Available to private customers and interior designers, the professional expertise and experience of the team helmed by Daniele Busca, Showroom Manager & Creative Director, and Francesco Farina, CEO of Scavolini USA, help customers to make choices, from the initial idea to the final project. Founded in 1959 by Pasquale Natuzzi, Natuzzi S.p.A. designs, manufactures and sells a broad collection of couches, armchairs, beds, home furniture and home accessories. With consolidated revenues of €488.5 million in 2015, Natuzzi is Italy’s largest furniture house and the player with the greatest global reach in its sector, with eight manufacturing plants, twelve commercial offices and more than 1,140 points of sale worldwide. Ethics and social responsibility, innovation, industrial know-how and integrated management of its value chain represent the points of strength that have made the Natuzzi Group a market leader and established Natuzzi as the most recognized furniture brand in the world among consumers of luxury goods. 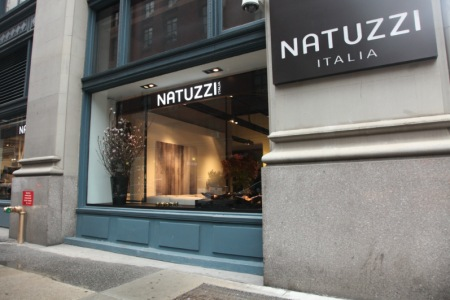 Natuzzi S.p.A. has been listed on the New York Stock Exchange since May 1993. The Madison Avenue Store, opened in 2014, with an area of 5000mq, is the maximum expression of the Dna of the company. An essential point of reference for those who love made in Italy style and high quality furniture. 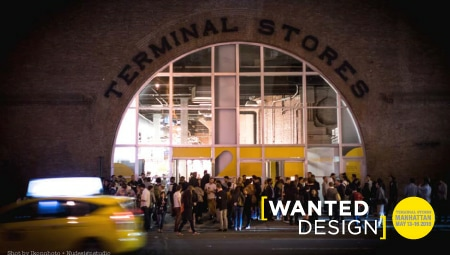 Wanted Design (West Chelsea, Manhattan, May 13-16, and Industry City, Brooklyn, May 7-17) is the platform founded in 2011 by Odile Hainaut and Claire Pijoulat to promote design culture in New York through debates and events. The initiatives for 2016 include: Designer Maker Entrepreneur on independent American design studios; American Design Honors, the prize for young talents with business abilities; Design Schools Workshop, for students in design schools asked to develop concrete projects, this year on the theme of Playfulness; Launch Pad, an area for small companies and the concepts of independent designers; Conversation Series, three days of debates to explore new perspectives on the themes Design and Science, Design and Identity and The Future of Making. 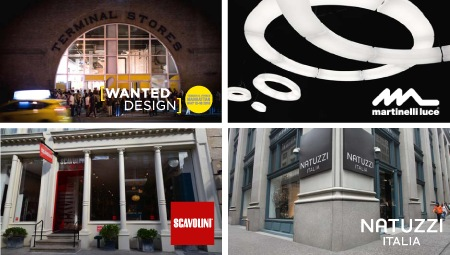 The 2016 edition of Wanted Design features exhibiting companies like Alessi, Alpi, Bernhardt Design, Cappellini, Capsule, David Trubridge, Effeti, Moroso and Visual Magnetics.